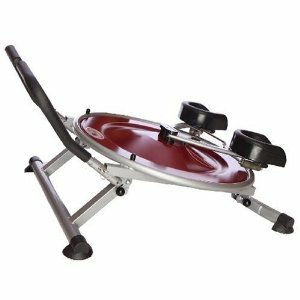 HomeWeight LossExercisesWhat are the best AB machines? Who does not want a flatter stomach and great looking body with 6-pack abs? For this purpose, we try different exercise methods and exercising machines. AB machines are great exercising equipment that gives a perfect shape to your body. However, few manage to use such machines properly. If you just want to use AB machines for a couple of minutes thinking that you’ll get a flat stomach, then there is no need to buy them. If you want to lose weight and want a perfect body shape, you should use AB machines on a regular basis because these exercising machines provide long term benefit if used in the right way. AB glider is not only for those people who are already fit with a great body shape, in fact this is something that you can start working on with to get slimmer and build some strength. AB Glider is constructed with solid steel construction and can support up to 300 lbs. Apart from that, this machine has a comfortable foam cushioned seat. This machine helps build your body muscles and burn fat through the lateral and the vertical motion of the body. You can move front to back as well as sideways through the use of AB glider, this will help you get a perfect body structure. You will be able to burn twice as much calorie as through AB Glider as compared to any other AB machines which accounts for more muscle activation. Another added advantage of this machine is that it contains an on the board computer. This feature is going to help you track/record the working time and how many calories you have burnt during your work-out. Along with the machine, what you get is weight loss guide, Abs DVD and a 3 minute result DVD. This deal is definitely worth the money you’re going to spend. Many customers point out that AB Glider shows faster results and although it is easy to assemble when first bought, but the parts that it contains are heavy. Other than that, AB Glider can be difficult to use if you weigh close or even higher than the gliders weight limit. AB Circle pro is a machine that is compact and very easy to use in home. 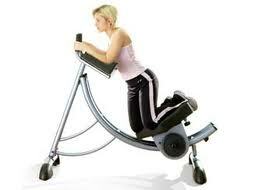 With this machine you do not have to do the on-the-floor exercising, if you can do the kneeling then it’s perfect. It requires you to kneel, with your knees in the knee-pads and your arms up, holding the handle bar. The knee pad rollers and overall machine is made up of gym quality steel. The unique motion of AB Circle Pro helps you swing sideways as well as forward and backwards hence making your thighs, hips and waist to move. So this is complete 360-degrees workout. Getting just a 3 minute exercise with this machine is equal to 100 sit-ups that you could have done otherwise. It provides 3 resistance levels and another positive feature of AB Circle Pro unlike other AB machines is that it is really very easy to assemble and you can place it under your bed since it can be folded easily. The AB circle pro system also consists of an on board computer device and a weight loss guide. On the downside, the only negative feature about this product is that the knee pads might prove to be rough for many people. However, this problem can be solved by adding more knee pads in order to provide more cushions. AB Doer twist provides a 360-degree workout which is an effective approach to body fitness. It gives you a twist motion for abdominal exercise. Though the main focus is on your abdominal muscles, AB Doer Twist also targets your hips and hamstrings to some extent. 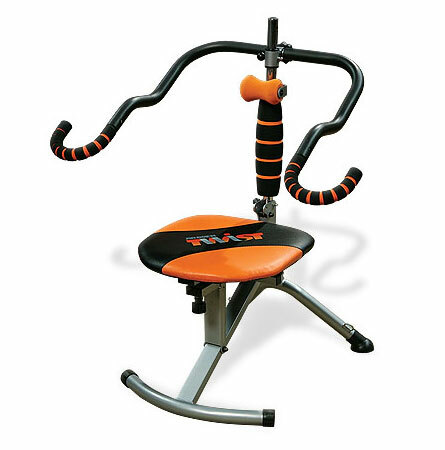 The machine is made up of solid steel material (gym quality) and can support 300 pounds of weight capacity. Moreover, it has multiple resistance levels and the use of Torsion Flex Technology makes it easy to target and activate a number of muscles that could not have been targeted with other work-outs. Apart from this, AB doer twist allows you to adjust the padded seat as well as the arm bars according to your comfort level. This feature eventually eliminates the stress on shoulders or neck. The foam roller gives you a relaxing and therapeutic massage while you exercise on the machine. Other than that, it is easy to use for a beginner as well as advanced level users. AB Doer Twist is also easy to assemble unlike AB Glider. Talking about the negativity, the machine might not be a good choice if you weigh too much. Price of this machine can be an issue for people who are too much price conscious. AB Rocket Twister provides an abs workout in which you just have to lean backwards and relax while the AB Rocket twister does the magic. AB Rocket increases your muscle activation more than a 100% as compared to the ordinary floor crunches. It provides a full abs exercise in both directions, forwards and backwards. The backrest of the machine contains relaxing massage rollers that are fully padded. These rolled pads sets you free from neck pain. 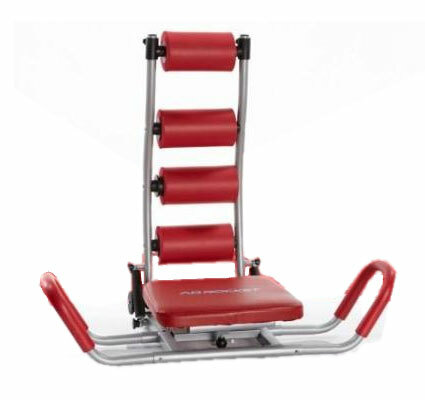 Moreover, it provides 3 level of resistance and this unique design of the machine allows you to strengthen your lower body muscles while twisting and turning. As a bonus, the AB Rocket twister system offers you low calorie meal plan along with four DVD workouts, which is extremely helpful. Through AB Rocket, you can do easy crunches, reverse crunches, oblique exercises and much more; all in one. The cylinder launch technology enables you to work out your lower and upper ups as well as the sides. The only disadvantage about this product is that the backrest might be a problem for a person who is too huge or too small.